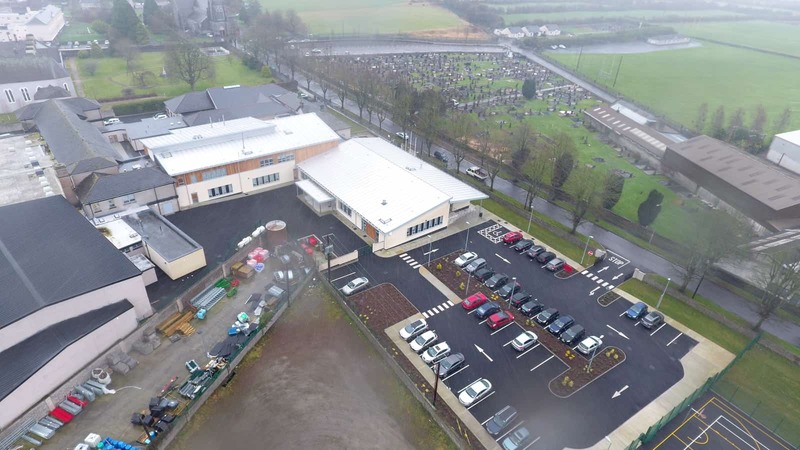 Our Lady’s Secondary School Templemore – Duggan Brothers Ltd. 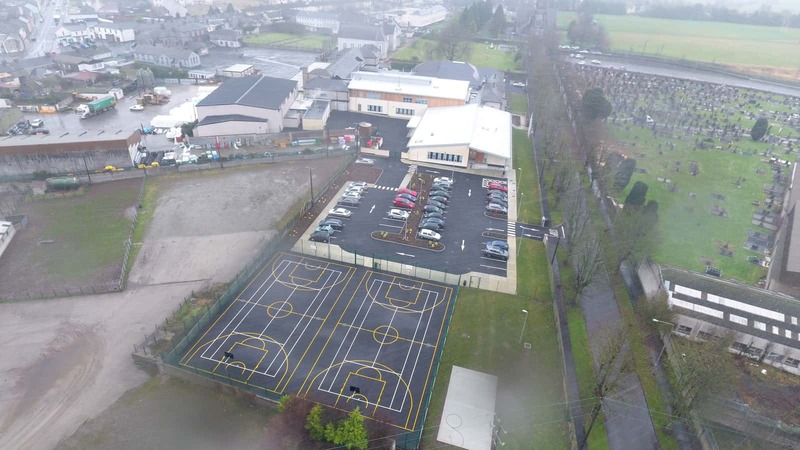 This phased project in the grounds of a live school consisted of the demolition of a single storey school building, approximately 1,000m2 and replacement with a new two storey school building, approximately 3,000m2 and associated site development works including hard play courts, carpark with surface markings and new entrance for both school car park on Church Avenue. The main structure of the building extension is both reinforcement concrete, blockwork and structural steel with extensive mechanical and electrical installations. The scope of works also included for Temporary Accommodation during the construction period. 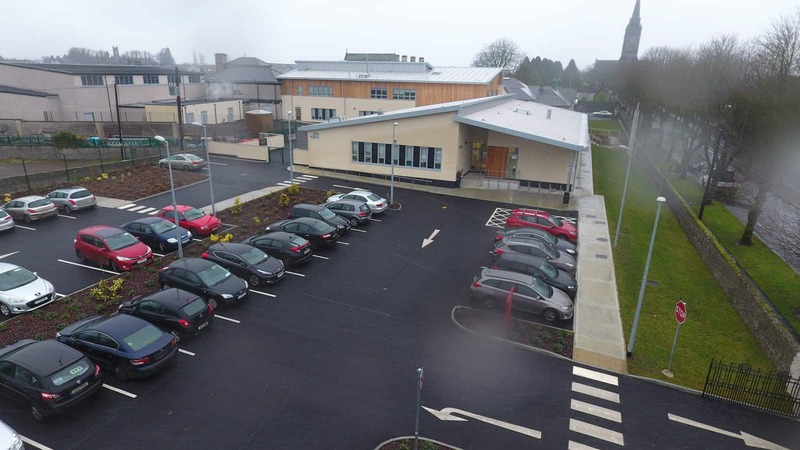 The new extension and refurbishment provided additional modern teaching accommodation to Our Lady’s Secondary School to meet increased student numbers as well as upgrading the existing teaching accommodation and building services in line with current regulations. As this contract was required to be constructed without interruption to the school operations, the sequencing of the works was carefully considered to facilitate this. Our access to the existing school was during the school holidays and all demolitions, refurbishment to the Protected Building,enabling works and new construction in this area of the school was carried out during the school holiday period.